How much would you like to add to your monthly income? If you have the time and the inclination, there are paid opportunities all around you. Start with one of these. The word “moonlighting” is defined as “having a second job in addition to regular employment.” According to Bankrate.com in a 2018 survey, nearly 4 in 10 Americans, or 37%, have a side job. Is there anyone who couldn’t benefit from a little extra spending money in their pocket? If you have the time and the inclination, there are paid opportunities all around you. You just need to look around at the endless possibilities and assert yourself. Turn your interest into income. If you enjoy kids or pets, it may be easy to get started doing some child care, pet sitting, or dog walking. Maybe you want to be a house sitter, checking someone’s home while they are away and making sure that doors are locked, plants are watered, and mail and newspapers are taken in. Maybe you love math or some other subject and want to make yourself available to tutor a student. If you do a good job with someone you know, word will get around fast and more business will come your way. You could tutor kids one-on-one or in small groups. If you savor working outdoors, possibly you can hire yourself out to do lawn mowing, landscaping, or gardening for others. Another option is to sell vegetables from your garden if you are a successful vegetable gardener, and your area is zoned for you to have a little food stand in front of your house. If you have a hobby in which you create something, such as quilts, jewelry, crocheted baby blankets or little hats, you may be able to sell your masterpieces online, at the farmer’s market, or at a local shop. Get hired for a part-time job doing something you enjoy. If you enjoy working with children and being active and participating in specific sports, you might love being a coach. Local park districts, sports leagues, and even your school district may want to hire you seasonally to coach if you are proficient in the rules and protocol of baseball, football, basketball, or even some more specialized sport like archery. If you have time during weekends, after school or during summer break, you can contact them to see how to get started. Your park district might have other paid seasonal work available at the swimming pool or assisting with landscaping in the parks. And if your regular job gives you summers off, you might want to work at a summer camp. Subscribe to Financial Independence, our daily email newsletter. It doesn't cost anything. And, it could make a huge difference in the way you live! 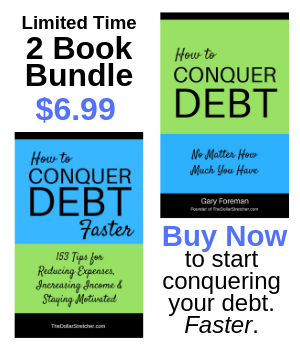 Subscribers get Are You Heading for Debt Trouble? A Simple Checklist and What You Can Do About It for FREE! For people employed by a school district, there are other avenues for making a difference in a child’s life while earning extra money. Schools, especially high schools, often need people to sponsor clubs like student council or the disability awareness club. They also need people to chaperone school events. And if you are not afraid to be in the passenger seat with an inexperienced not-yet-licensed teen driver, teaching driver’s education could add money to your pocket. If you are skilled and credentialed on a specific field, your nearby community college may want to hire you as adjunct faculty. This puts you on a list of people to be called, sometimes last minute, to teach a class for a semester. Find out what level of education is required if you want teach at community college. If you are super ambitious, great in sales and marketing, manage time well and seek the bigger bucks, going through the training and expense of being a real estate broker. Expect to spend many hours and a few thousand dollars to get trained and credentialed. Once you are eligible, you can earn as much as about 6% for every property that you sell. That’s $12,000 for that $200,000 house that you might sell. Be creative when thinking of the many ways you can use your time to make extra money. Get off the sofa. Turn off the TV. Get off the internet. Be proactive and get out of the house to hustle jobs. Debra is an occupational therapist, accountant, teacher and freelance writer. She is a writer for Advance for Occupational Therapy Practitioners. She also writes for Grand Magazine, has some items (fiction and non fiction) selling on Amazon.com (kindle), has written several travel articles for the Champaign-Urbana News-Gazette and several articles for freelancewriting.com and volunteers as a money mentor for the University of Illinois Cooperative Extension money mentoring program. Learn more about her at DebraKarplus.blogspot.com.